When contacted by The Indian Express, she refused to comment on the issue. “I have not seen the transcript shared by anyone, but I would not want to comment on this,” she said. 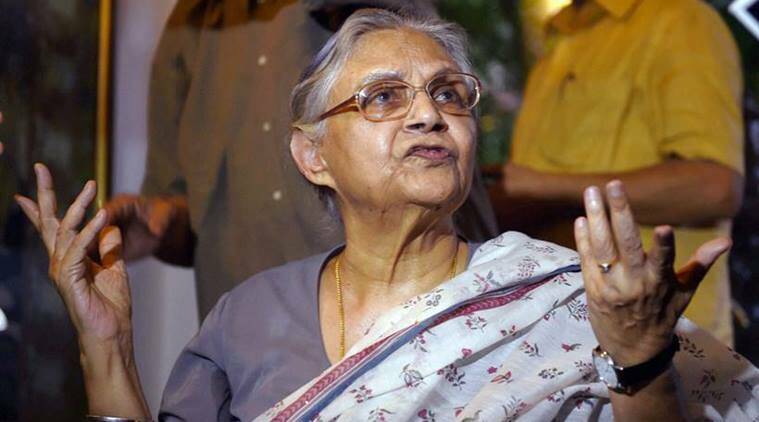 Former Delhi Chief Minister and Delhi Congress chief Sheila Dikshit stoked a controversy on Monday during an interview, where she spoke about former Prime Minister Manmohan Singh’s response to terrorism during his tenure. She was responding to a question about how the former prime minister dealt with the 26/11 attacks in Mumbai as compared to the Balakot air strikes after the Pulwama attack. The Manmohan Singh-government had decided against a military response to the Mumbai terror attacks on November 26, 2008. After her statement was aired and questioned by several people on social media, Dikshit, a three-time Delhi CM, accused some media organisations of “twisting” her statement. “I have seen some media is twisting my comments made in an interview. Here is what I said — it may seem to some people that Mr Modi is stronger on terror, but I think this is a poll gimmick more than anything else,” she tweeted. “I also added that national security has always been a concern and Indira ji has been a strong leader,” she said in another tweet. When contacted by The Indian Express, she refused to comment on the issue. “I have not seen the transcript shared by anyone, but I would not want to comment on this,” she said. Opposition parties, however, latched on to the statement. While the Aam Aadmi Party expressed “shock”, the BJP said she had echoed what the nation “already knows”. “Thank you Sheila Dikshit ji for reiterating what the nation already knows, but the Congress party is never ready to admit,” BJP national president Amit Shah tweeted.